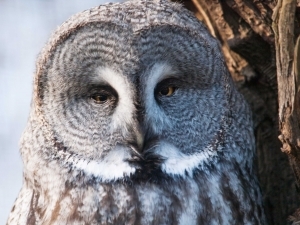 Sax-Zim Bog offers some of the best chances to glimpse boreal species including northern hawk owl, snowy owl, common and hoary redpolls, ruffed grouse, boreal chickadee, black-backed woodpecker, northern goshawk, white-winged crossbill, snow bunting, and great gray owl, North America’s tallest owl and a crowd favorite. The bog’s mix of seasonal boreal birds is unmatched by any other North American location. In addition to Sax-Zim Bog, we’ll be following daily bird reports for updates on rarities in the area. 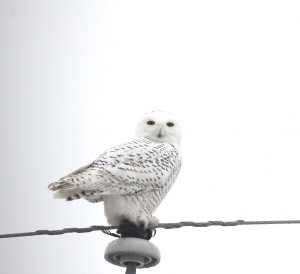 Get ready for a winter birding wonderland in Minnesota! Day 1 (Sun, Jan 21): Denver/ Minneapolis/ Duluth ~ Early morning flight from Denver to Minneapolis (arrival by 11 am). Drive to Duluth and check in to your hotel (drive time approx. 2.5-3 hrs). Fitger’s Inn, your home for the next four nights, is located in the historic 1885 renovated Fitger’s Brewery and listed on the National Register of Historic Places. Afternoon birding – Duluth/ Superior area. Get to know your fellow birders and discuss birding strategies for the weekend this evening. Days 2-4 (Mon, Jan 22 – Wed, Jan 24) – Duluth/ Sax-Zim Bog/ Lake Superior ~ Early morning departures from Duluth for full days of birding including Sax-Zim Bog and other area highlights. Exact locations will depend on recent sightings. Day 5 (Thurs, Jan 25) – Duluth/ Minneapolis/ Departure ~ Late morning return to Minneapolis in time to connect to afternoon flight home. Price: $1495* per person (double occupancy). Single supplement: $455*. Price includes accommodations, transportation, full-time driver/guides (Tom Bush from Front Range Birding Company and Chris West from Swallowtail Birding Tours), activities and meals as listed in the itinerary. Exclusions: airfare, dinners, travel insurance, taxis, and optional activities. *Pricing and availability are subject to change without notice until booked and deposit received. A 3% discount will be applied to payments by check.